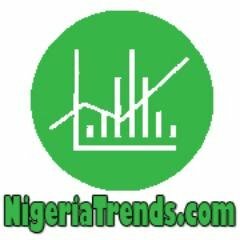 Nigeriatrends.com — Story of how Nigerian Police saved a thief from untimely jungle justice is trending on social media lately. This robbery story was shared on Facebook by JIDE KOL, a NYSC member serving in Awka, Anambra State. This story of ‘The Day Nigerian Police Saved A Thief From Jungle Justice Death’ is worth sharing. “Sometimes in December, a thief came to our residence and made away with my #Legendary HP laptop, a BlackBerry Q5, PlayStation 2 and one iPad, angry and furious, I threatened to tie the thief if caught, strike him with a machete if caught and beat him death. Today he was caught in the area, at about 2:30am, jungle justice preps, human asun on point as you would think, asun equipments bursting out (matches, kondo, firewood, ropes, knives to mention a few) but somehow I found myself praying and wishing the Nigerian Police, civil defense, Man o war, or even Igbo speaking corps members would help save the idiot from being roasted, toasted, grilled, fried, boiled or fired(literally). The handsome brave idiot met his Waterloo, he was caught by a vigilant barrister (@ least that’s what they call the tailor that caught him), the dog that raised the alarm had not been fed nor taken for a walk in a long time (the dog just dey bark with vex) and the shop he bursted was owned by one Oga of police pikin. For the first time the arrival of the police gave me peace, even though they didn’t come with handcuffs, improvised hand and leg cuffs was on point already, trust Nigerians, even though they were asking silly questions which almost provoked the potential perpetrators (where him phone? ), they sha came on time and the people in Awka south listened and obeyed the law as they handed him over. So because of our porous judicial system, I figured This dude might be in awaiting trial for like 15 years or 20, he should be in his late 20’s by now, so by the time he is 47 they will now sentence him to 20 years imprisonment with hard labour, just thinking aloud though. We can now sleep, but him no go fit return my laptop, anyways its OK, I forgive am one time Amen! God bless Awka, God bless Anambra, God bless Nigeria. What’s your reaction to this trend?